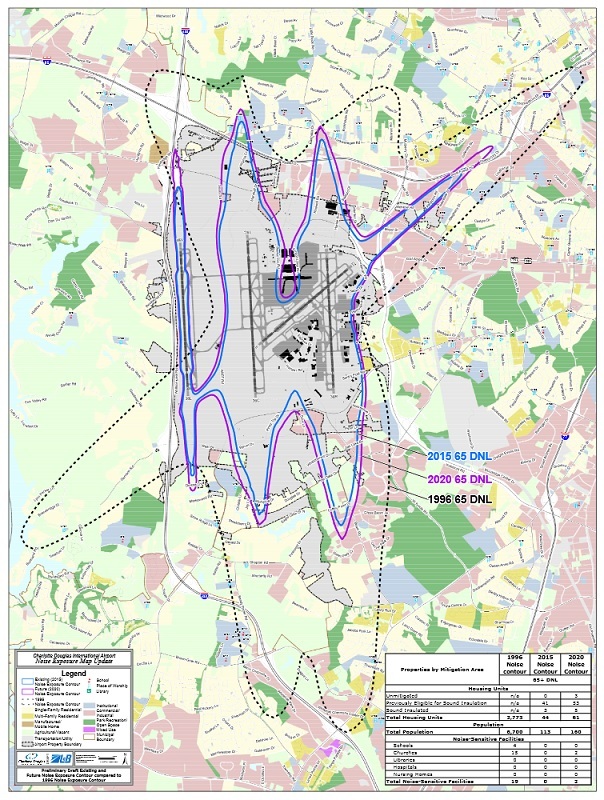 (October 6, 2015) The Charlotte Douglas International Airport is updating its 1996 Noise Exposure Map (NEM) for 2015 and creating a 2020 map for the future due to aircraft fleet changes and recent changes in runway operations. The map identifies areas that have a day-night average sound level (DNL) of 65 decibels or more, See Airport Noise Exposure Map Update Study. Two Public Information Meetings and Public Hearings will be conducted to present the draft Noise Exposure Map Update and allow an opportunity for the public to provide comments before the NEM Update is submitted to the Federal Aviation Administration (FAA) for review and official determination. Public comments at the hearings will be recorded and submitted to the FAA as part of the NEM Update process. The Public Information Meetings and Public Hearings will be held concurrently, with one section of the meeting location dedicated to the Public Information Meeting and one section dedicated to the Public Hearing. The public Information Meeting will be an open house style setting in which study information will be available on large display boards. Airport and noise consultants will be available to answer questions regarding the study. The same information will be presented at both meetings. No formal presentations are planned - stop in anytime. At the Public Hearings, attendees will be able to provide oral or written comments. Those wishing to make oral comments will have the ability to voice their comments to a transcriptionist that will be available to transcribe all comments. A hearing officer will facilitate the process of giving oral comments and make sure that all those who request to speak have the opportunity to do so. For more information, see Airport Noise Exposure Map (NEM) Update Study and Charlotte Douglas Airport Noise Program. AAccording to airport and consultant staff attending the Public Information Meeting at Olympic High School last December 4, the maximum noise level measured at the interstection of Shopton Road and Gable Road near Sullivan's Trace neighborhood was 83.1 decibels. According to a noise chart avalilable HERE, 80 decibels is equivalent to the sound of an alarm clock. An alarm clock is loud enough to wake a sleeping person. 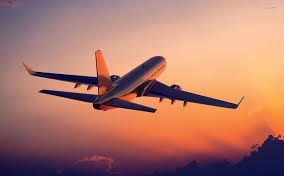 However, the average decibel level is much lower than that (at least below 65 decibels) because the 83.1 decibel level is averaged with the much quieter levels experienced between airplanes. However, the airport is not going anywhere, and airplanes aren't going to stop flying over Steele Creek, so noise will continue to be a fact of life here. The update does not recommend changes to airport operations that will reduce noise, it only identifies areas where properties are eligible for noise abatement programs.